Franz Liszt’s 200th birthday anniversary converged with the 20th anniversary season of Close Encounters with Music in a program entitled “Lisztomania.” Cellist and CEWM Artistic Director Yehuda Hanani prefaced the concert with an entertaining and informative 10-minute lecture about Liszt, the composer-pianist who became a Catholic priest late in life but never gave up his close friendships with many notable women (Hanani quipped, “he wore the habit but didn’t kick the habit”). The program featured several of the solo piano works for which Liszt is best known, opening with the lovely “Two Legends” in sensitive performances by Jeffrey Swann, who later played the flamboyant “Les Jeux d’Eau a la Villa d’Este” with color and panache. Hanani joined Swann to present five more piano originals that Liszt himself transcribed for cello and piano. Most striking was “La Lugubre Gondola,” a late piece in which Hanani’s dark tone emphasized its early hints of atonality. His expressive playing brought a mellower sound to the charming “Romance Oubliee” and three romantic “Consolations.” Swann was a virtuosic accompanist. To end the concert’s first half, Swann was joined by violinist Yehonatan Berick for a scintillating account of Saint-Saens’ “Introduction and Rondo Capriccioso” in a transcription for violin and piano. Saint-Saens was one of many fellow composers whom Liszt generously promoted throughout his life. After intermission, all three principals closed the concert with Mendelssohn’s “Piano Trio No. 2,” whose classical structure and emotional restraint contrasted sharply with the rhapsodic freedom of Liszt. But this passionate reading showed that both composers could express deep feeling with different resources. 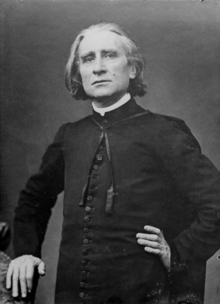 Hearing Liszt on the same program with music by two of his contemporaries gave the audience a nicely rounded portrait of his life and times. As both speaker and performer, Hanani is an engaging personality, but the program book could have included some notes about the music to expand on his introductory comments. This is a small caveat about an upcoming season of concerts by Close Encounters with Music that all feature a distinguished roster of world-class musicians performing at the Mahaiwe and other Berkshire venues.